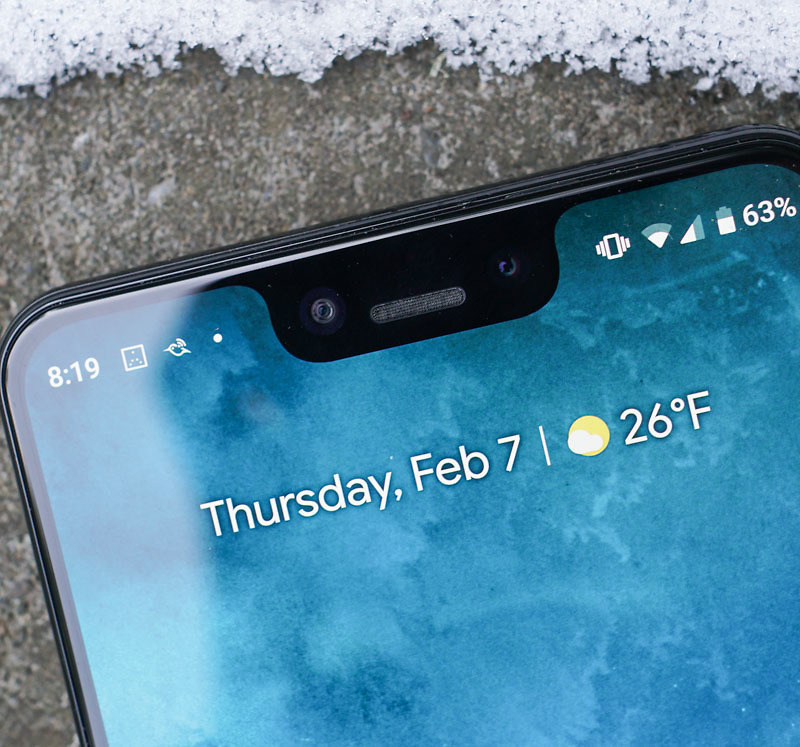 Pixel 3 XL Owners, How’s the Notch? Alright, the time has come. Pixel 3 XL owners, you have owned your phone for months now. You’ve stared into those eyes, that speaker mouth, and dealt with the double wide. You know 😐. That one super nerdy friend of yours who wears Crocs in sport mode with socks, knows about landing strip jokes and followed the Russian Pixel 3 leaks, probably made fun of you once. But you survived, it seems, if you are reading this post. You survived having that notch. I’ve spent some time with it, even as the Pixel 3 has become the phone for me, just as I said it would. There is a Pixel 3 XL on my desk. It gets used from time to time when Wear OS has destroyed the battery life of my regular Pixel 3 by 4PM. The notch doesn’t offend me as much as the overall size of the 3 XL does. It’s still an eyesore, though. I still feel the same about it as I did after my review. It’s still a thing I get to look at as it sits on my Pixel Stand, before shaking my head at Google for approving this bad of a design. It’s most definitely not for me. I like my Pixel 3. But for you, how has life been? How has life been with the Pixel 3 XL’s notch? Do you now feel disappointed in other personal life choices every time you pick-up your phone? Do you envy us Pixel 3 owners (it’s OK if you do)? Has it become a notch of pride, of importance, and status? Has it become a slice of your identity? Are you and the Pixel 3 XL notch an unbreakable bond? Will you now defend it until you buy a Pixel 4 XL in 8 months death? Will you mock hole punch displays as if they are a downgrade from your perfect world?